copyright ©2009-2019 Clara Pereira. All Rights Reserved. Erik Fratzke, bassist of Happy Apple at (Le) Poisson Rouge on Wednesday night, January 13. Happy Apple performing at (Le) Poisson Rouge on Wednesday night, January 13. Erik Fratzke on bass and Mike Lewis on saxophone. Mike Lewis on saxophone - Happy Apple at (Le) Poisson Rouge on Wednesday night, January 13. Dave King on drums - Happy Apple at (Le) Poisson Rouge on Wednesday night, January 13. Colin Stetson on saxophone and Bill Laswell on electric bass, performing at (Le) Poisson Rouge on Wednesday night, January 13. Bill Laswell on electric bass, performing at (Le) Poisson Rouge on Wednesday night, January 13. Colin Stetson on saxophone, performing at (Le) Poisson Rouge on Wednesday night, January 13. The Ex performing at (Le) Poisson Rouge on Wednesday night, January 13. David Torn at the New School Tishman Auditorium - ECM Records Stage on Friday night, January 15. Mark Turner Quartet - Avishai Cohen - trumpet, and Joe Martin - bass, performing at New School Tishman Auditorium - ECM Records Stage on Friday night, January 15. Mark Turner at the New School Tishman Auditorium - ECM Records Stage, January 15. Christian McBride performing at New School Auditorium, January 15. Josh Evans performing at New School Auditorium, January 15. Abraham Burton performing at New School Auditorium, January 15. Nasheet Waits at the New School Auditorium, January 15. 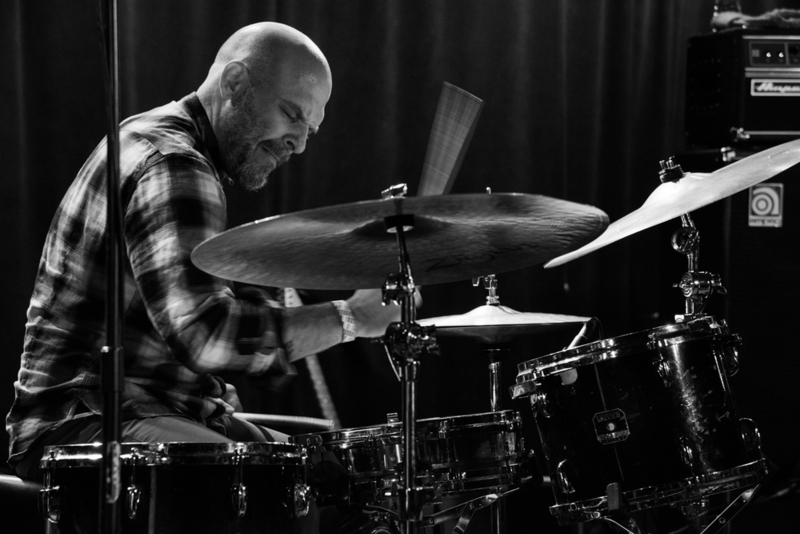 Brandon Seabrook at the New School Jazz - Glass Box Theatre, January 15. Oscar Noriega at the New School Jazz - Glass Box Theatre, January 15. Trevor Dunn at the New School Jazz - Glass Box Theatre, January 15. David Virelles performing at New School Tishman Auditorium - ECM Records Stage, January 15. Don Byron performing at New School Auditorium - 12th Street, January 16. Cameron Brown performing at New School Auditorium - 12th Street, January 16. Bruce Cox performing at New School Auditorium - 12th Street, January 16. Aruan Ortiz (piano), Don Byron (saxophone) and Cameron Brown (bass) performing at New School Auditorium - 12th Street, January 16. 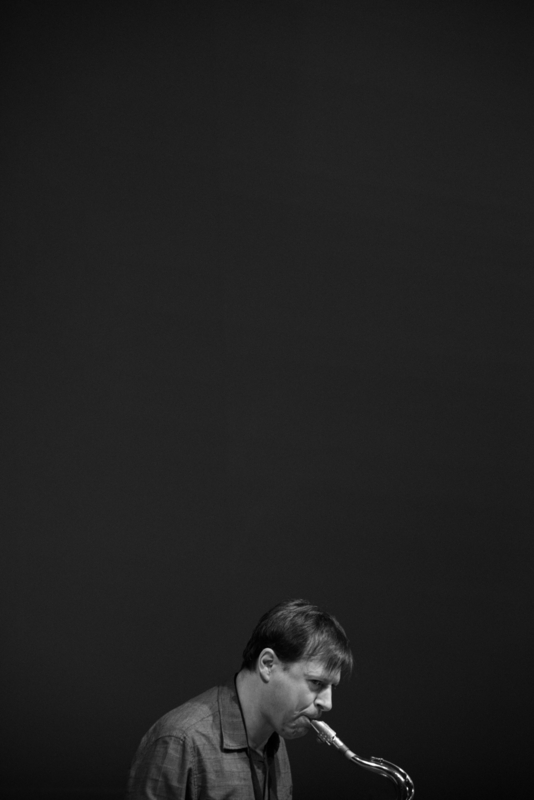 Ben Monder performing at New School Tishman Auditorium - ECM Records Stage, January 16. 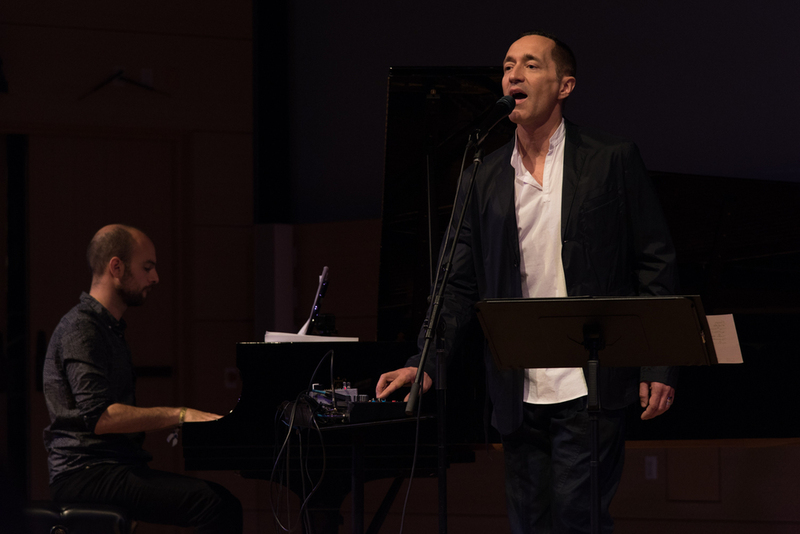 Shai Maestro (piano) and Theo Bleckmann (vocals) performing at New School Tishman Auditorium - ECM Records Stage, January 16. Joe Martin (bass) and Chris Potter (saxophone) performing at New School Tishman Auditorium - ECM Records Stage, January 16. 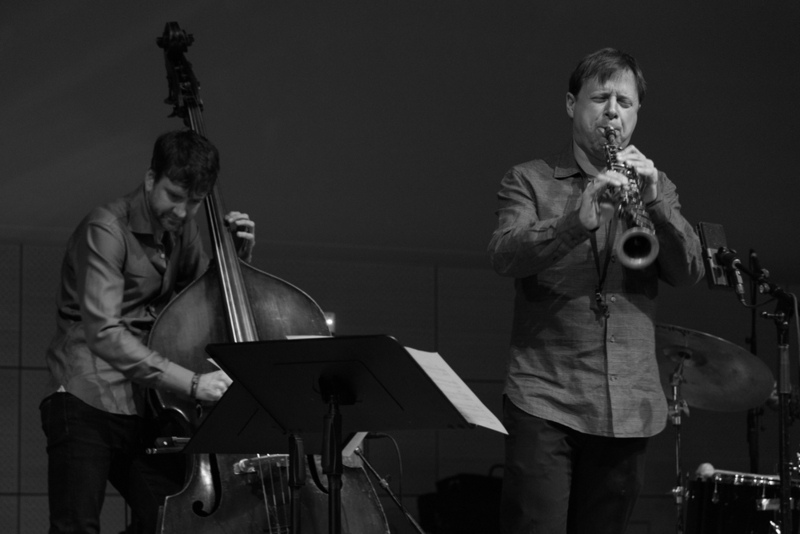 Chris Potter performing at New School Tishman Auditorium - ECM Records Stage, January 16. Tim Berne (saxophone) and Ralph Alessi (trumpet) performing at New School Tishman Auditorium - ECM Records Stage, January 16. Matt Mitchell performing at New School Tishman Auditorium - ECM Records Stage, January 16. Tim Berne's Sideshow - Matt Mitchell (piano), Tim Berne (saxophone), John Hebert (bass), Ralph Alessi (trumpet) and Dan Weiss (drums), January 16. Ralph Alessi (trumpet) and Drew Gress (bass) performing at New School Tishman Auditorium - ECM Records Stage, January 16. Sun Ra Arkestra - Marshall Allen performing at Judson Church, January 16. Sun Ra Arkestra directed by Marshall Allen, at Judson Church, January 16. Sun Ra Arkestra directed by Marshall Allen - Tara Middleton (voclas), Marshall Allen (alto sax), James Stewart (tenor sax) and Knoel Scott (tenor sax) performing at Judson Church, January 16. George Coleman and George Coleman Jr.